Clothes, as they say, make the man. So do his language and demeanor – but what else? Did his parents or teachers make him who he is? Is it income, peer pressure, the movies he sees, jobs he holds, or his favorite music? Or, as in the new novel John Woman by Walter Mosley, is a man made purely of his actions – including murder? Cornelius “CC” Jones had always adored his mother. Some of his best memories were of having tea with her in her apartment, listening to her blithely reminisce about past loves, kisses and passion, and the night she was almost killed but instead met CC’s father. Those memories framed one side of CC’s childhood, and his father framed the other side. Herman Jones was a slave in Mississippi before he taught himself to read. He had a great love of books and philosophy, and he demanded much from his son: CC learned to speak correctly, to think widely, and to love history. He became a respected, responsible boy who quietly assumed his father’s job when Herman fell ill. It was a job that saved them both, in many ways, but it wasn’t to last. When Herman died and CC’s mother vanished, CC left New York, attended college under an assumed name, and then reinvented himself again as John Woman, professor at New University of the Southwest in Arizona. There, because of his brilliant hypotheses and his cutting-edge deconstructionist history classes, students flocked to his classroom. But not everyone loved John Woman. John Woman never fit in, nor did he try. Several of his colleagues wanted him gone from the NUSA, though others were highly intrigued by the way his mind worked. A barely-transparent “cult” of elites that ran the University had their eye on Woman because they recognized his extreme genius. And then there was the NYPD, which was looking for John Woman for a murder they were sure he’d committed…. The very first thing you need to know is that John Woman is absolutely not an easy book to read. 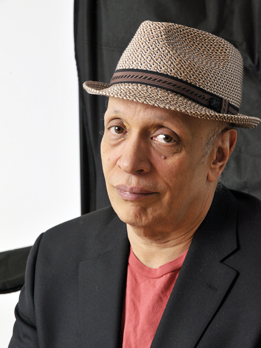 In many ways, fans of author Walter Mosley will know this: Mosley likes to create unique situations, deep philosophers, and thinkers, and in this book, he’s totally accomplished that. There’s a weird super-educated “cult,” for example, that serpentines through the plotline, but it’s a largely-unexplained tease. More prominently, the title character here is so deep in his ideas that what he says is sometimes indecipherable but it’ll still tickle your mind until well, well into the book. At that point, the sheer brilliance of it all becomes clear, as does his next step - and yours, for that matter, as this book’s meaning lingers and your mind is blown. Needless to say, despite the drama and bedroom scenes within, this book isn’t a fluff-bit that you can set down at a whim. This novel is going to force you to think, as well as gasp, smile, and chuckle. If you’re ready for a 10-ton-heavy novel, John Woman will make you very happy.